The Colibri family delivers cost-performance optimised designs. Small form factor Colibri modules are highly miniaturised and encapsulate complex computer system on module hardware and software technology for fast and easy embedded product development. 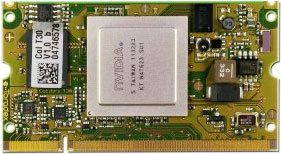 To find out more about the Colibri Txx range of Computer modules, visit the product page.